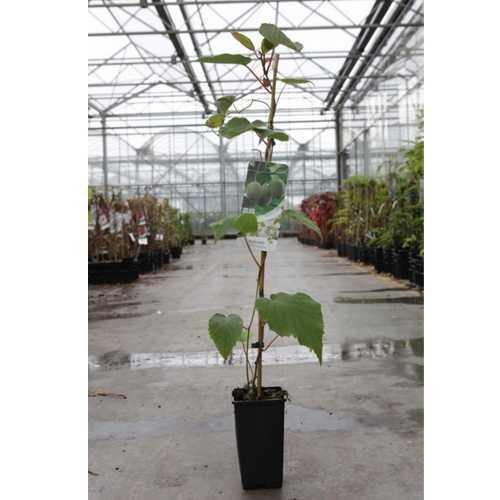 Actinidia Deliciosa 'Hayward' is one of the most commonly grown Kiwi plants, it is a female variety and you will also need a male variety for the plant to fruit. 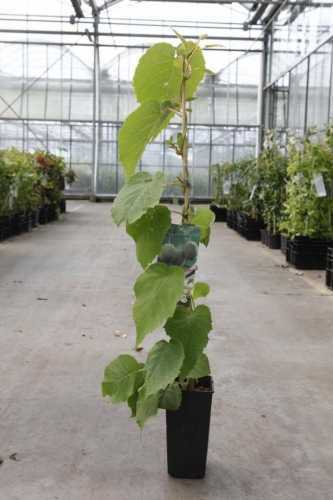 It is a deciduous climber and will give a tropical to feel to any garden. It will bear fruits from it's second to third growing season.